The finger-pointing approach to dealing with failure is typical of how many organisations deal with failure. Blaming others gets the spotlight off us and onto someone else. We’ll happily take the spotlight when there’s applause and then aim it the other way when there’s criticism. Of course, as the public, we can take some responsibility here because we often jump on anyone who admits making a mistake. This ‘blame-game’ approach by the Government, and an anticipated counter-approach by IBM, is an absolute waste. A waste of time, effort, resources and no matter how you look at it, money. Lots of it! Its bloody expensive to mount a good defence as to why its “your fault” and “not mine”. Here are more of the inevitable effects the blame-game will have on both parties. It will result in no-one ‘taking responsibility’ for the issue. There is another way Malcolm. Fail fast, or as I like to say, ‘Learn Fast’. The purpose of learning fast is to acknowledge that our product or service didn’t do what it was supposed to do. Now, let’s get on with finding the root cause or causes, in a blame-free environment, and use the talents of our joint workforces to fix it smartly and quickly. Let’s learn fast from our failures. You’ve probably heard the story about Thomas Edison and the invention of the light bulb many times. Thousands of attempts and no finger pointing! We may still be living in the dark if the pointed fingers came a wagging. Organisations who Learn Fast don’t dwell on the past, go around sacking people or ‘rolling heads’ as the first point of action when things fail. Australian organisations must learn how to transition their culture to an environment where taking responsibility and learning fast replaces the blame-game. On a final note, as an avid neuroscience reader, follower and educator, I’m well aware that our brains are wired to defend us against threats. However, our built-in threat-detection software was purpose built for physical threats and not psychological ones. Using a perfectly good tool (our ego) in the wrong way prevents us from moving forward, reaching our potential and learning fast from our failures. 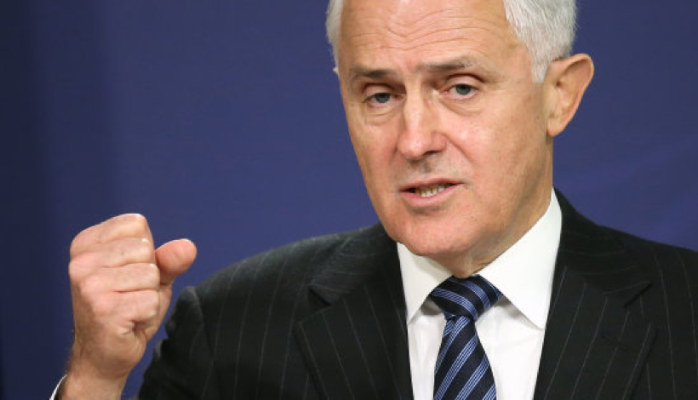 So Malcolm, let the blame-game go and get on with learning fast from this experience. You’ll fix the problem faster and save bucket loads of tax-payers’ money. As an added bonus you’ll positively contribute to the lives of thousands of Government and IBM workers who no-doubt want to put their natural talents to work on delivering great services. Oh, and if you need some help facilitating the first ‘Learn Fast’ sessions between IBM and the ABS, I know a good facilitator! Kristyn Haywood is the Founding Director of People for Success. Kristyn is passionate about helping organisations unlock the natural talents of their entire organisaton by re-shaping their cultures and developing 21st century Leadership capability. Check-out People for Success’ team alignment workshops and cultural transformation journeys.